Chandni’s group studies electron transport in a variety of low dimensional semiconductor and metallic systems. Of particular interest are two-dimensional electron systems in graphene and other layered materials, van der Waals heterostructures and ultrathin metallic wires. The approach combines unique nanofabrication techniques with electrical transport, tunneling spectroscopy, measurements at low temperatures and high magnetic fields. Other research interests include piezotronics and sensing using two dimensional materials and heterostructures. Chandni U. obtained her M.S. and Ph.D in Physics from the Indian Institute of Science, Bangalore in 2008 and 2012 respectively. 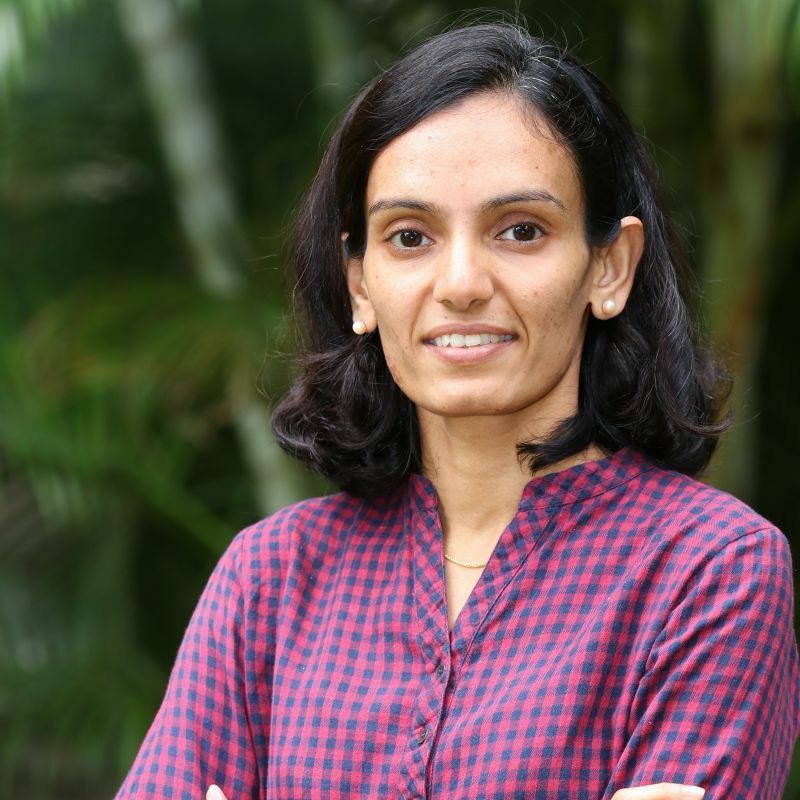 She was employed as an IQIM Postdoctoral Scholar at the Institute for Quantum Information and Matter, California Institute of Technology, USA (2013-2016) and as Jawaharlal Nehru Postdoctoral Visiting Scientist at the Tata Institute for Fundamental Research, Mumbai (2016). She joined the Department of Instrumentation and Applied Physics, IISc as an Assistant Professor in May 2017.